Hi beachcombers and ghost crab chasers! 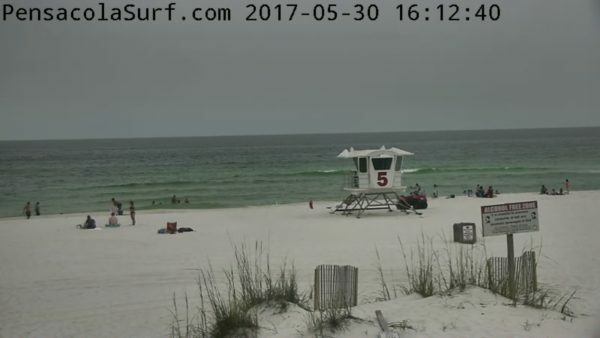 Pensacola Beach is still cloudy but beautiful this afternoon, and the storms are still staying away so far. 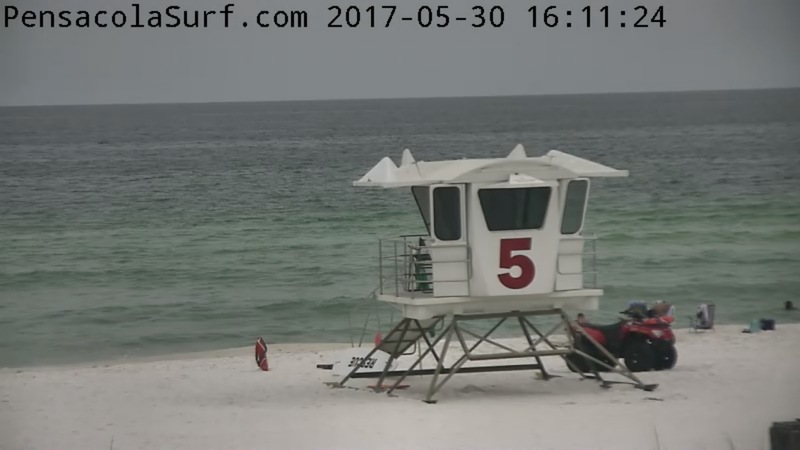 There is a light Southeast wind blowing between 5 – 10 mph. 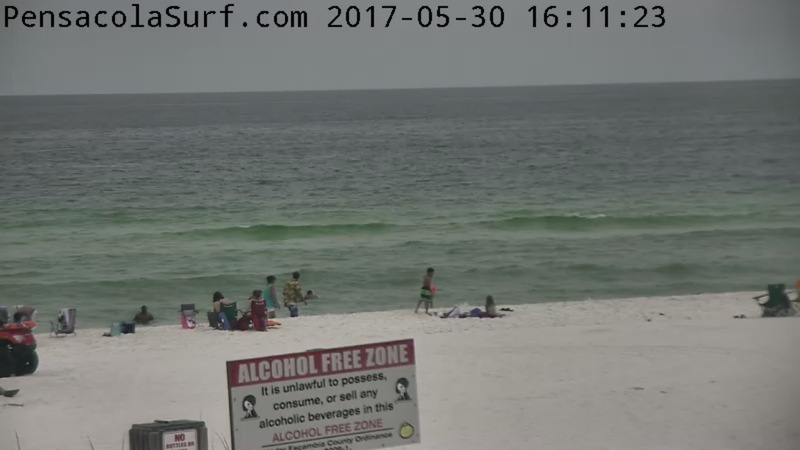 The knee high waves are breaking on the shoreline if you want to try to teach a kid how to surf on shallow spit of sand.